This rare College Park property has some dazzling renovations such as travertine kitchen floors, stone counters, custom cabinetry and closets, a converted bonus room and much more. Beautiful pavered pool area with heated pool and enormous bonus room great for entertaining. Breath-taking views of Downtown Orlando's skyline from the shore of Lake Ivanhoe are certain to captivate and inspire you. Locally owned restaurants, trendy nightlife spots, quaint shops and cute local cafes, all in College Park! Cross Princeton to Princeton Elementary and the College Park Community Center which has a pool, work-out room and playground. In the other direction stroll two blocks down to Lake Ivanhoe. Great location, get to anywhere quickly without the use of I-4 to get downtown to the Amway Arena, Dr. Philips Center for the Performing Arts or the new soccer stadium. Florida Hospital and Lock Haven Park also minutes away with no I-4 commute! 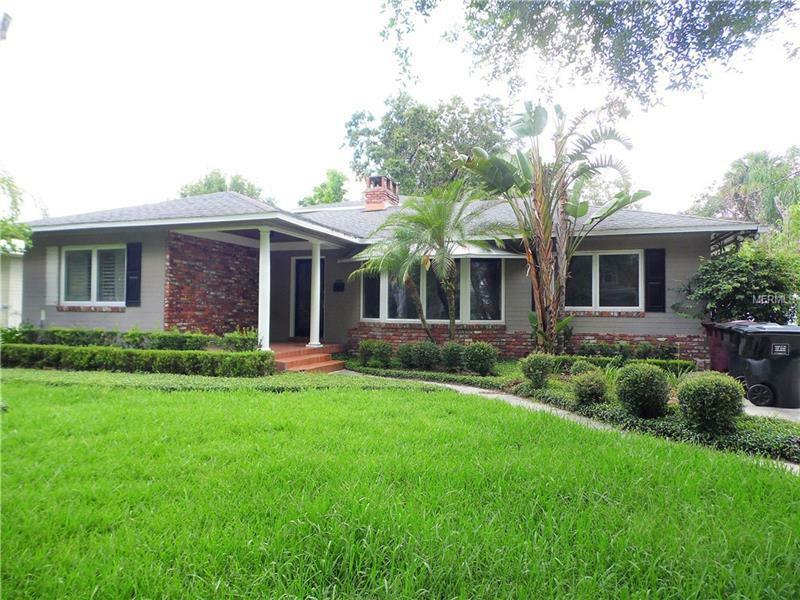 Enjoy College Park's community small town feel yet close to downtown Orlando and Winter Park. Come put the finishing touches on making this home fantastic once again. BUYERS TO INDEPENDENTLY VERIFY ALL HOA FEES, ROOM SIZES, RULES & REGULATIONS; PLEASE ALLOW 2-3 BUSINESS DAYS FOR SELLERS RESPONSE.